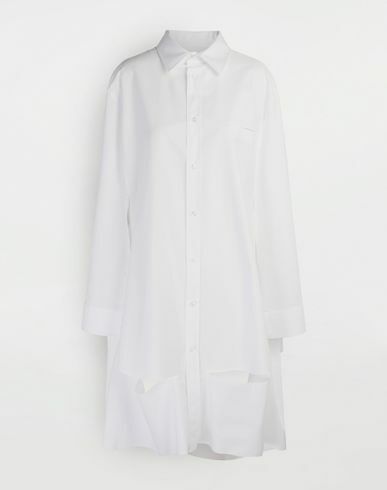 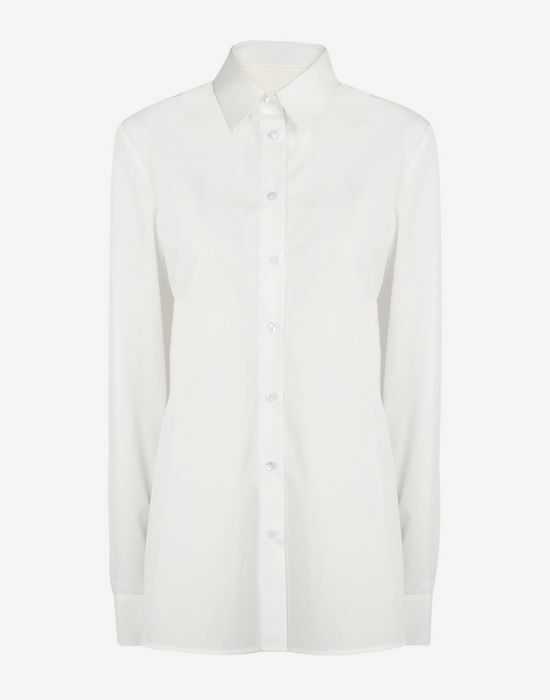 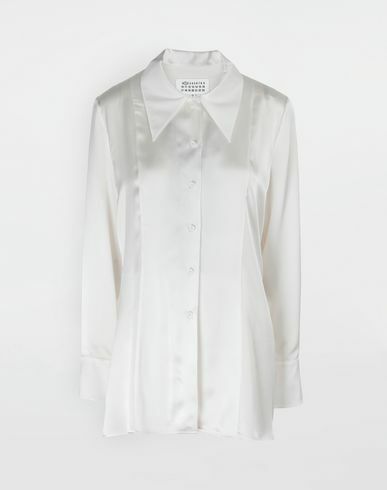 An arresting décortiqué detail on the back takes this long-line crisp white shirt from classic staple to directional must-have. 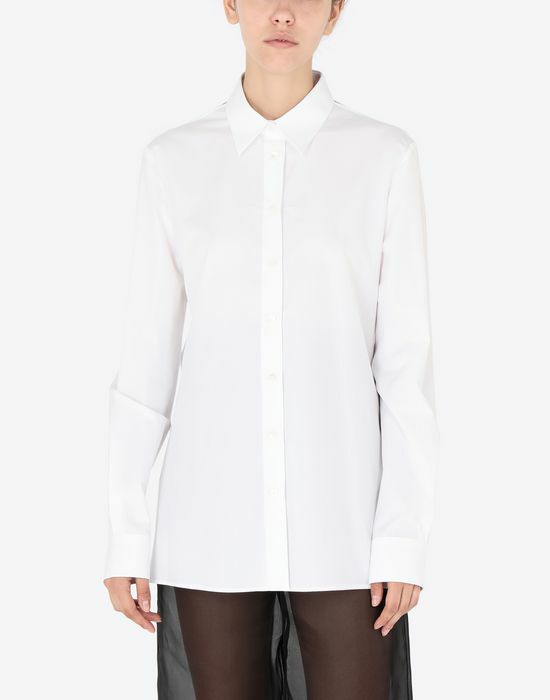 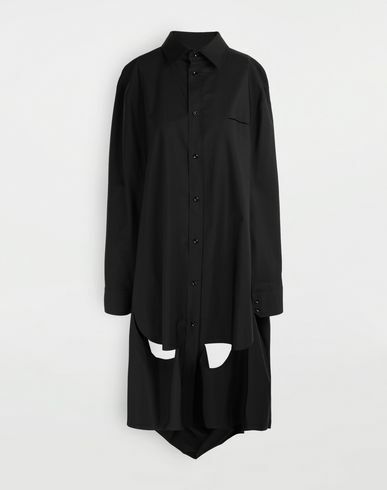 A streamlined neatness dominates the front with a smart collar, discreet buttons down the centre and long sleeves with traditional button detailing at the cuffs. 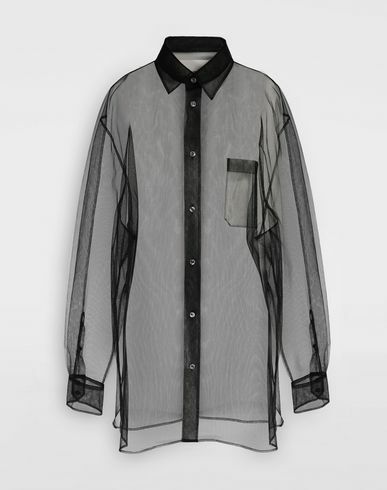 The back, however, is disrupted as the shirt’s form is dramatically reworked, lending an elegant eveningwear appeal.